Immobility was required by Cezanne from his models. He conceived of portraiture as a special category of still life. The psychology of his figures mattered little; he was not interested in their thoughts but in their form. They had to remain "as motionless as an apple," and he would become angry if fatigue caused them to make the slightest movement. He tolerated no distraction: A barking dog or noise from a passerby made him furious. "When I work, I must be left in peace," he said. Worried, dissatisfied, he required from two- to three-hour sittings, eighty for the critic Gustave Geffroy, 115 for the art dealer Ambroise Vollard. To him he said, leaving the painting unfinished. "I am not displeased with the shirt front." He added, "try to understand a bit, Monsieur Vollard. I have a slight sensation, but don't succeed in expressing myself. I am like a man with a gold coin and unable to spend it." In a burst of anger, he would often rip the unfinished canvas, even throw it out the window. This attitude explains the tense expression of his figures, not without recalling on occasions the stiffness of a Zurbaran. 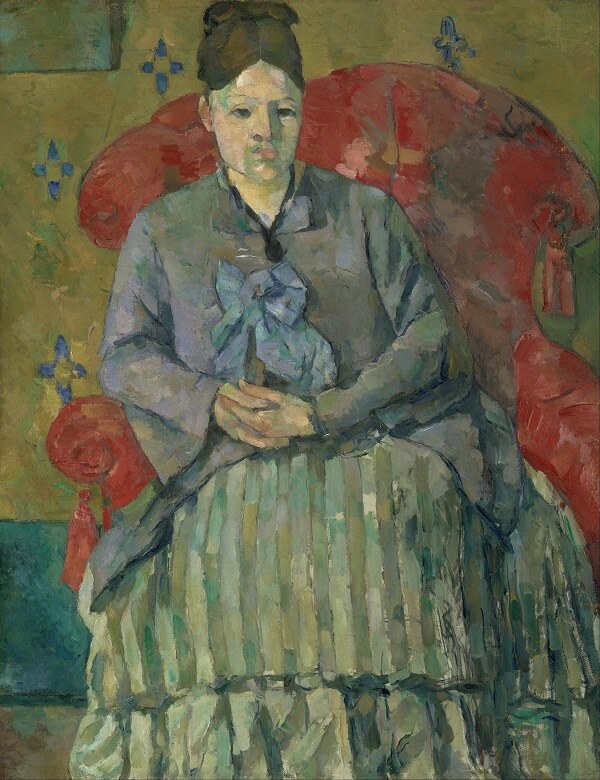 When he was doing a portrait of Madame Cezanne whom he painted twenty-six times - or his son, the sittings were all the more painful since not one member of the family believed that the artist had the slightest talent. Hortense Fiquet, whom Cezanne had met in 1870. was to wait sixteen years before the artist, in fear of his father, legitimatized their union.